Looks like a tricky crab made an old pirate pretty angry by stealing some of his treasures! Help the crab to escape, but remember to avoid traps on your way. Try to get as far as you can, collect coins and improve your best score. 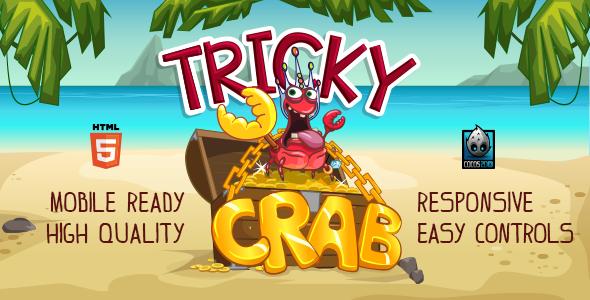 “Tricky Crab” is an endless runner with beautiful unique graphics, catchy music, fun gameplay and easy controlls. Enjoy an addictive HTML5 game on all devices!